Wipro Sweet ‘n’ Healthy was launched in 2007 as a table top sweetener for calorie conscious people. It gives a sweeter route to good health by letting the consumer enjoy their favorite drink without worrying about adding extra calories. This makes staying in shape not just a healthier but also a tastier affair. 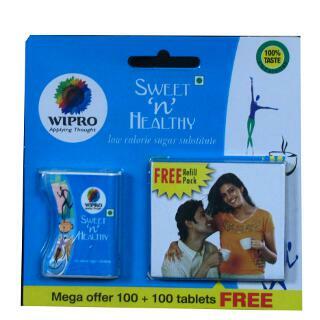 How to get Free Wipro Sweet N Healthy Sample? Note: This is only for first 2000 People. Standard SMS Charges apply.